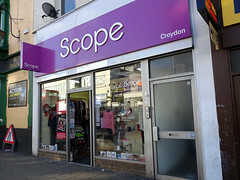 Charity shop on London Road, opposite West Croydon Station. It stocks DVDs, clothes, shoes, and homewares. It also has a very small selection of books (a dozen or so at a time). Last edited 2019-01-07 16:47:20 (version 37; diff). List all versions. Page last edited 2019-01-07 16:47:20 (version 37).